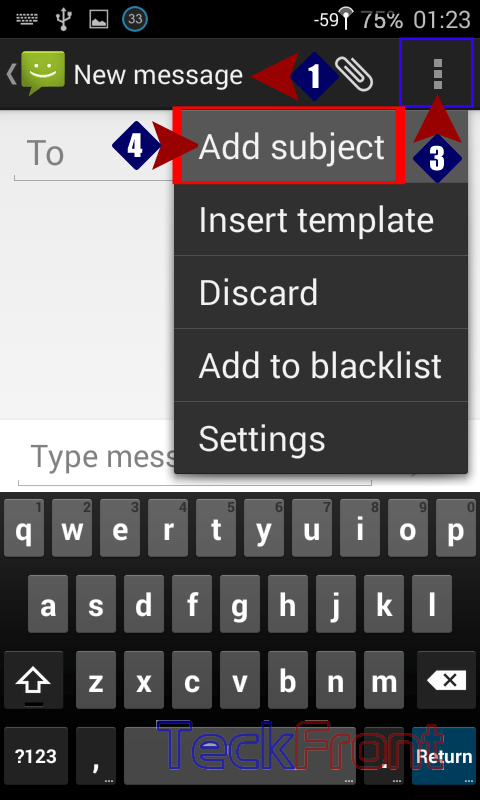 How to Add Subject to the SMS in Android KitKat 4.4 Phone? This is common observation that the messages received are, normally, without any subject. This is why a lot of time is wasted in reading the whole message. The cause of lack of effectiveness of the SMS is, in majority cases, due to the reason that people do not take interest in SMS. If the subject to the SMS is added, receiver may just check the subject and may decide to read it or not. Sometimes, some every important messages are neglected due to lack of subject. 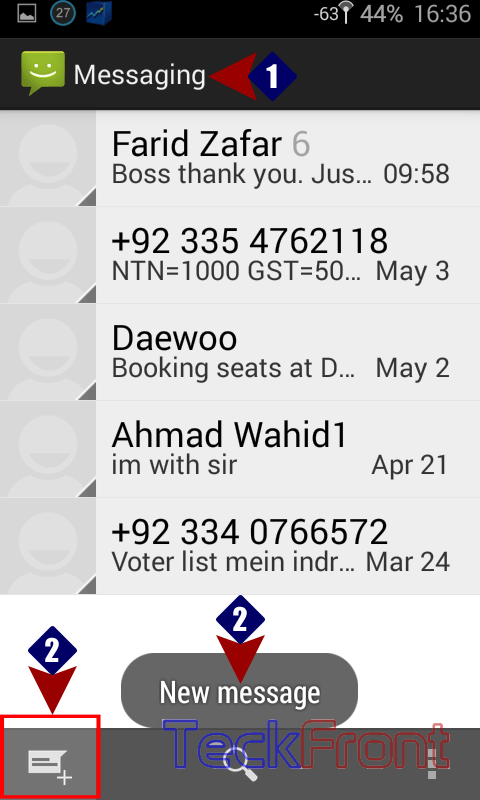 Adding the subject can attract a lot many people to the SMS. The basic reason is that great many people don’t know; how to add subject. But, this is simple. 1: Tap the Messaging app icon to open ‘Messaging screen’. 2: Tap the ‘New Message’ button to add new message. The ‘New message; screen will appear. 3: Tapping the settings button, displayed in the top right corner of the ‘New message’ screen will open up a popup menu. 4: In the popup menu, tap the ‘Add subject’. 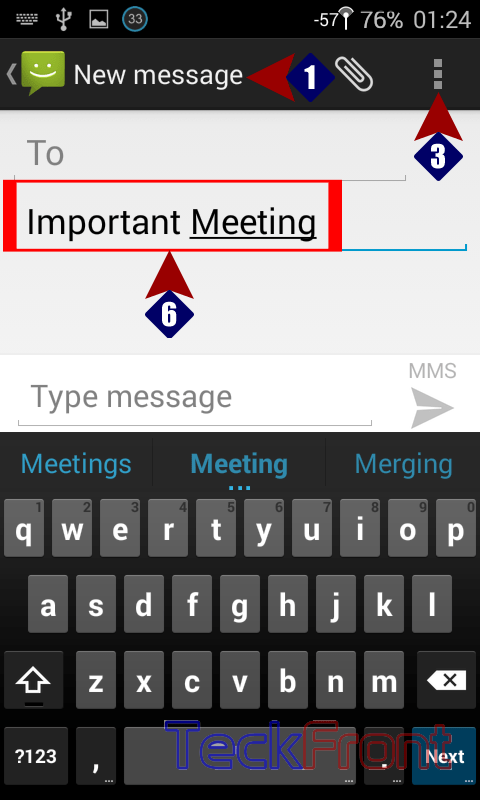 5: See the ‘Subject’ immediately below the ‘To’ will appear along with a keyboard below the ‘Type message’. 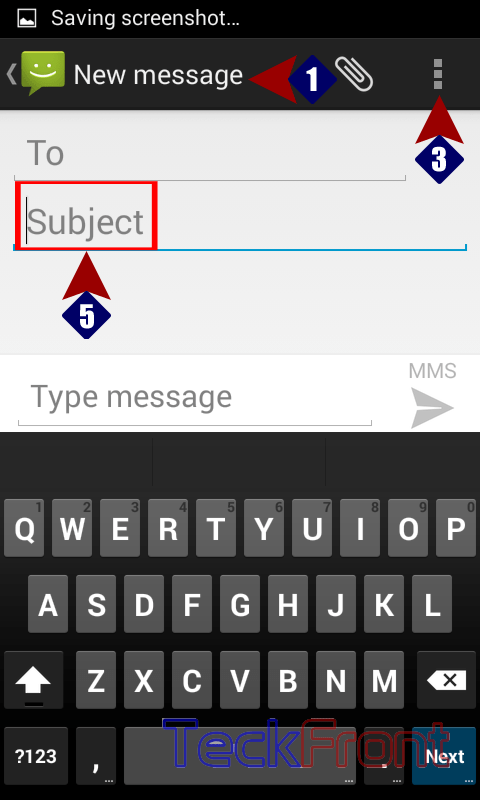 6: Tap the ‘Subject’ and write down the subject of the SMS using the keyboard. Now the SMS, sent by you, will have this subject. 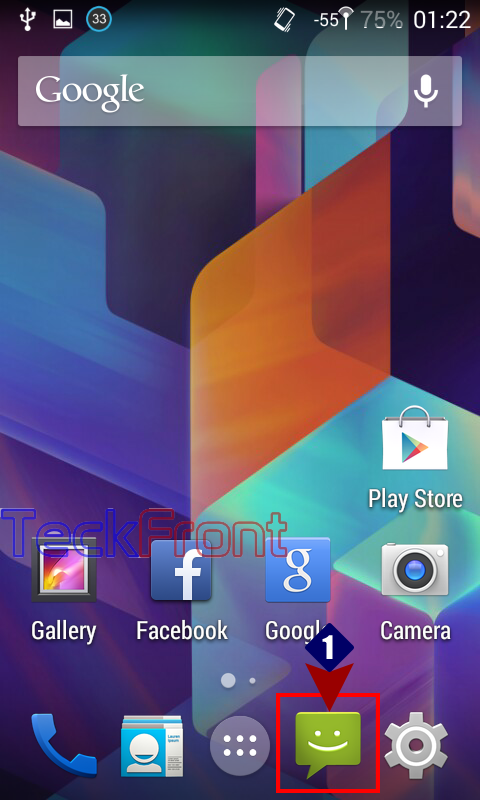 Newer How to Attach and Send Pictures to SMS in Android KitKat 4.4 Phone? Older How to Set Call Forwarding in Android KitKat 4.4 Phone?